Qualifying Charitable Organizations (QCOs) and Qualifying Foster Care Charitable Organizations (QFCOs) are certified by the Arizona Department of Revenue to receive contributions eligible for the tax credit. This certification only pertains to the Arizona tax credit program. This program does not apply to general licensing, operations, or the deductibility of donations to charitable organizations. To become a QCO or QFCO, a charitable organization must complete the application form and submit it along with required documentation to ADOR. See the application instructions for details. If your organization meets the qualifications, ADOR will then send a certificate to the primary point of contact for the charitable organization as indicated on the application form. 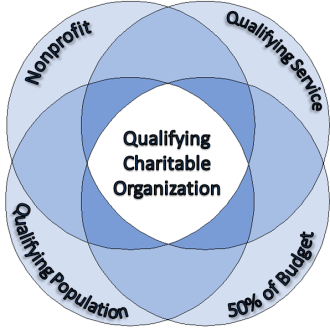 Charitable organizations may apply for certification at any time during the year. Certification is valid beginning January 1 of the year that an organization is approved. Applications will generally require two to four weeks for processing. ADOR may periodically request organizations to recertify their status, and will request specific information necessary to remain certified. If a QCO wishes to be considered a QFCO, a new application would be necessary. Is exempt from federal income taxes under Section 501(c)(3), or is a designated community action agency that receives community services block grant program monies pursuant to 42 United States Code Section 9901. Provides services that meet immediate basic needs. Serves Arizona residents who receive temporary assistance for needy families (TANF) benefits, are low income residents whose household income is less than 150 percent of the federal poverty level, or are chronically ill or physically disabled children. Affirms that it will continue spending at least 50% of its budget on qualified services to qualified Arizona residents. Is exempt from federal income taxes under Section 501(c)(3) or is a designated community action agency that receives community services block grant program monies pursuant to 42 United States Code Section 9901. Qualifying services include cash assistance, medical care, child care, food, clothing, shelter, job placement and job training services or any other assistance that is reasonably necessary to meet immediate basic needs and that is provided and used in this state. Who are chronically ill or physically disabled children? Chronically ill or physically disabled children are children who are under twenty-one years of age and whose primary diagnosis is a severe physical condition that may require ongoing, medical or surgical intervention. 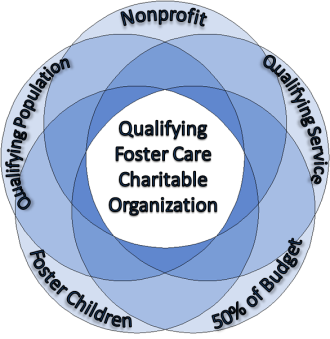 Who are qualifying individuals in the foster care system? Qualifying individuals are foster children (children placed in a foster home or child welfare agency) or a people who are under twenty-one years of age and participating in a transitional independent living program. A Transitional Independent Living Program provides care and services that complement the person's own efforts to achieve self-sufficiency and to accept personal responsibility for preparing for and making the transition to adulthood. Who can I contact with questions concerning certification?